LANSING — As Michigan suddenly became a key battleground, the state saw a spending surge in the last days of the presidential campaign. 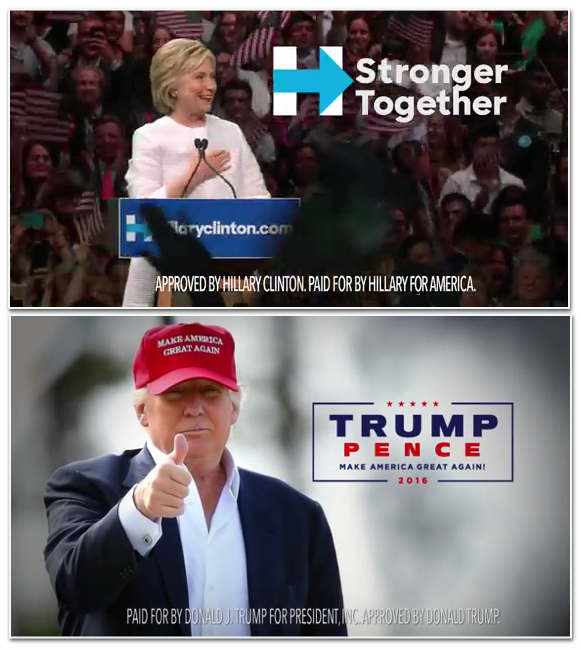 Republican Donald Trump, Democrat Hillary Clinton and their supporters aired an estimated $2.78 million in broadcast TV ads in Michigan markets over the seven-day period from Nov. 1 through Monday, Nov. 7, according to the Michigan Campaign Finance Network’s analysis of Kantar Media ad-tracking data. That’s about 7,502 individual ad spots in Michigan — an average of more than a 1,000 spots per day over the seven-day period. Leading up to Nov. 1, the campaigns had been somewhat quiet on Michigan airwaves since Trump spent an estimated $654,962 on ads airing in Michigan in early September. As Trump and the Republican National Committee made a late play to try to swing Michigan, they aired an estimated $590,138 in broadcast ads from Nov. 1 through Nov. 7. However, spending by Clinton’s campaign dwarfed the Michigan spending of the Trump campaign. Clinton’s campaign spent an estimated $1.90 million on broadcast ads over the last seven days. On top of that, a Super PAC that supports Clinton, Priorities USA Action, spent another $285,244 on Michigan ads. Combined, about $2.19 million in pro-Clinton or anti-Trump broadcast TV ads have aired in Michigan since the start of November. The Clinton campaign’s most frequently aired ad in Michigan has been one entitled “Role Models.” A version of that ad is available below. The Trump campaign’s most frequently aired ad in Michigan has been one entitled “Two Americas.” A version of that ad is available below. The spending estimates don’t include ads that aired today, Nov. 8, or ads that aired in markets based outside of Michigan but that reach into Michigan, like the Toledo or Green Bay television markets. Before the March 8 Michigan primary, Clinton’s campaign purchased about $3.4 million in broadcast TV time in Michigan, and Trump’s campaign bought about $480,236 in ads in Michigan, according to MCFN’s analysis of Kantar Media ad-tracking data.